This is definitely more of an American dish than a Mexican dish, but that doesn’t make it any less tasty. 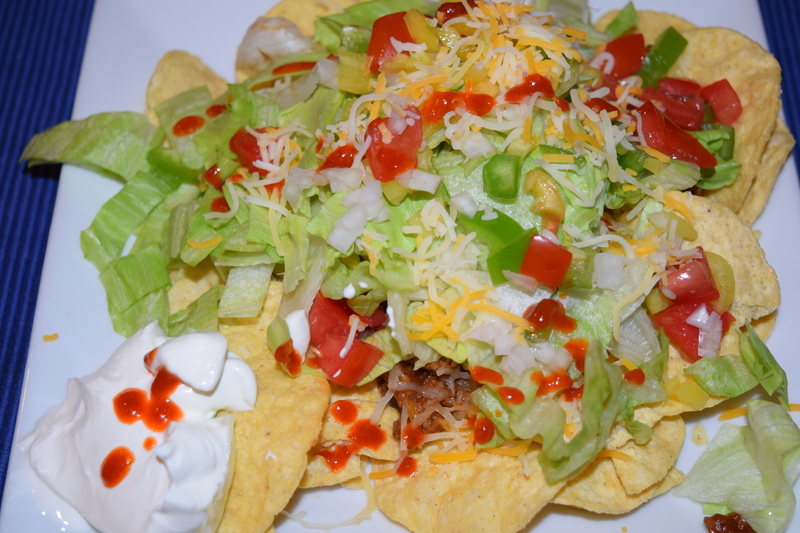 You could almost call it a “nacho salad” instead of a taco salad since we used tortilla chips instead of deep-frying a flour tortilla to make a bowl as most restaurants do. You could just as easily do this with shredded chicken or beef instead of ground beef, it all depends on what you have available. It is also such a simple dish that it makes for a great weeknight dinner. There are all sorts of options to change this up, such as using flavored tortilla chips, doing the deep-fried flour bowl, or leaving the chips out completely for a healthier version. Enjoy. 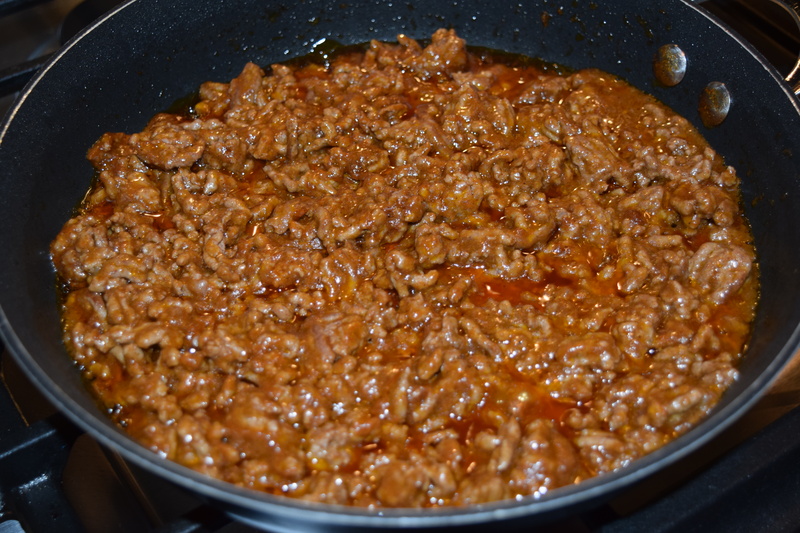 In a large skillet, brown the ground beef over medium-high heat. Add the water and stir in the taco seasoning and continue to cook for 3 to 4 minutes until the sauce thickens. If desired, heat the tortilla chips in an oven at 325 degrees for 5 to 10 minutes, just to get them warm. 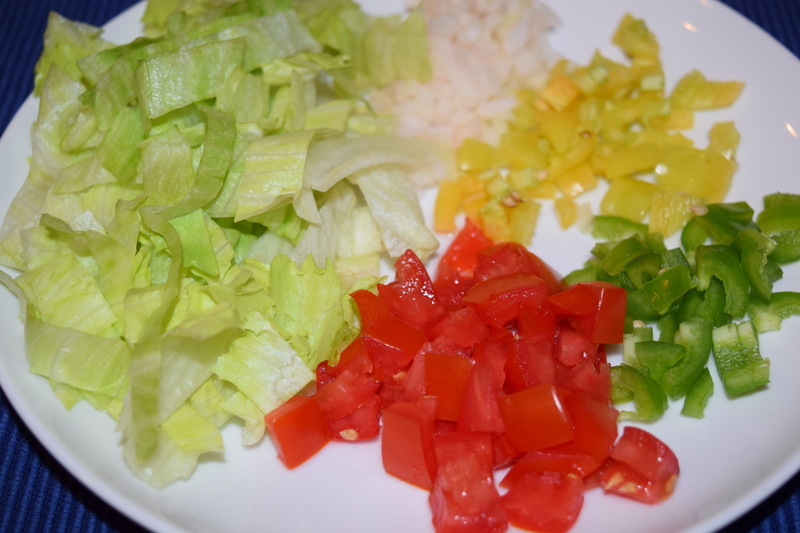 Assemble the salad by adding the chips to a plate or bowl, the ground beef, cheese, lettuce, tomato, peppers, and onion. Drizzle with sriracha and add the sour cream. 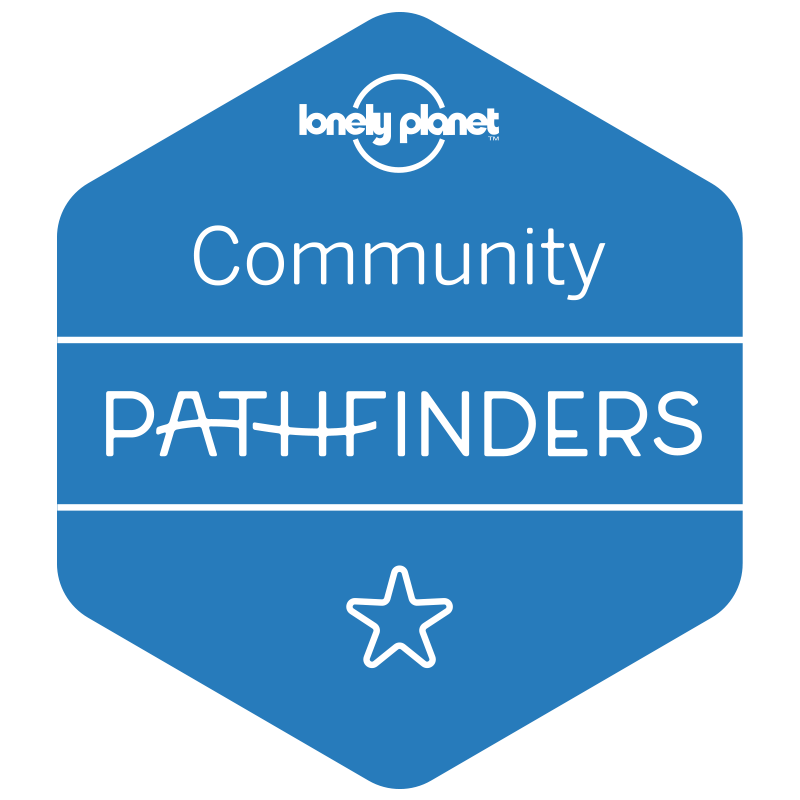 This entry was posted in Recipes and tagged dinner, Food, Mexican, recipe, salad, spicy, taco, weeknight dinner. Bookmark the permalink. Your recipes for simple, tasty and quick are so helpful! Mmm looks yummy! I have to try this!